Are You Taking Social Media Shortcuts? Are you treating social media like a checklist? 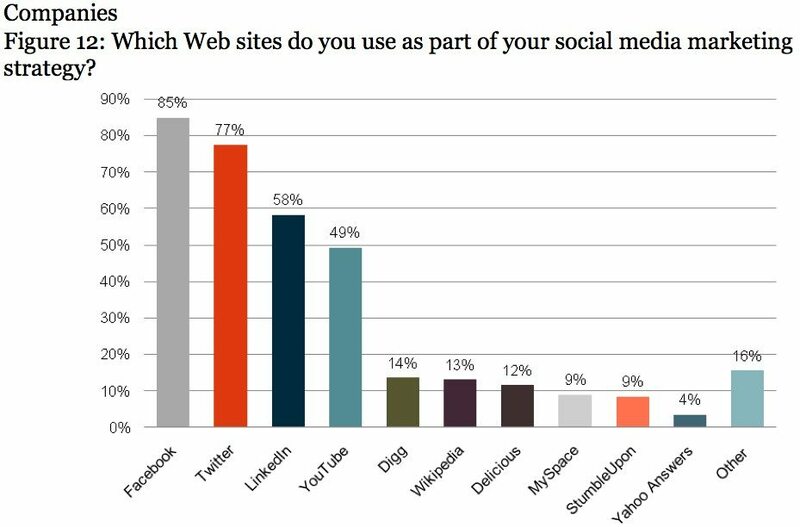 A recent study by Econsultancy called “The Value of Social Media” shows that companies are overwhelmingly using the “Big 4” of Facebook, Twitter, YouTube, and Linkedin for their social media efforts. And while I don’t have any issues with those sites (in fact I wrote about Facebook marketing in-depth here), but is treating social media like a checklist really the best possible solution for your company? Every day, 22 million Americans eat at McDonald’s. But, there are 108 million other people that eat at restaurants each day in America that are NOT McDonald’s. A recent feature on CIO.com on “10 of World’s Strangest Social Networks” gets it all wrong. Somebody’s “strange” social network is someone else’s potentially thriving customer community. And when you stick 100% to the Big 4, you miss those opportunities. 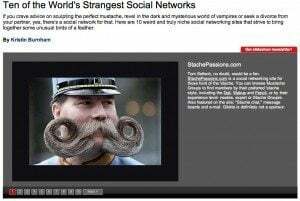 Sure, the StachePassions social network (for mustache aficionados, natch) is a little unusual on the surface. But, if you think it through, many companies could succeed by participating in this community. Of course facial hair supply. But, what about photographers or digital cameras? What about Baskin Robbins – with a promotion offering free samples (and extra napkins)? There are more than two million specialty communities on the Ning platform alone, giving you ample opportunities to find your fans and customers. I worry that by focusing so much on the Big 4, we start to look at social media through the prism of audience size, which is a vestige of the old marketing. Remember, social media is about meeting your customers in their house, on their terms, and working together. And if your customers are on VampireFreaks.com (which has 2.2 million members), then maybe that’s where you should be as well – even if that means you don’t participate on Twitter. I’m not saying you have to have a social presence in every single place one of your customers has an account. That’s impractical and unnecessary. But, in the rush to “do” social media, companies are forgetting that the communities that are most social (and thus carry the most potential) are those that are topically focused. Do you really know where your customers are in social media? Are you ready to look harder?